in celebration of the city’s Tricentennial. In February 2018, the Society unveiled its plan to dedicate $300,000 to repair Pump House #1 in Brackenridge Park. 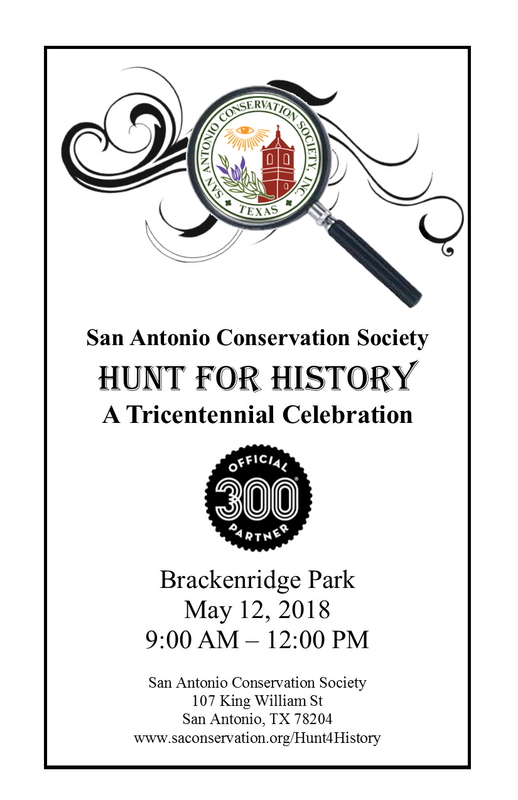 On Saturday, May 12th, you are invited to explore this historic site plus eight others in a “Hunt for History” event. Visit six of the nine historic sites and receive your prize. Volunteers will be located through the park to provide a sticker on your passport confirming your visit at each of the sites!